But a Reuters investigation finds that many are still taking the same shortcuts they promised to shun, from sketchy paperwork to the use of "robo-signers." In its effort to seize the two-bedroom ranch house of 87-year-old Margery Gunter in this down-on-its-luck Florida town, OneWest Bank recently filed a court document that appears riddled with discrepancies. Mrs. Gunter, who has lived in the house for 40 years and gets around with the aid of a walker, stopped paying her loan back in 2009, her lawyer concedes. To foreclose, the bank submitted to the Collier County clerk's office on March 3 a "mortgage assignment," a document essential to proving who owns a mortgage once the original lender sells it off. But OneWest's paperwork is problematic. Among the snags: state law permits lenders to file to foreclose only if they already legally own a mortgage. Yet the key document establishing ownership wasn't signed and officially recorded until months after OneWest filed to foreclose on Mrs. Gunter. OneWest declined to comment on the case. Reuters has found that some of the biggest U.S. banks and other "loan servicers" continue to file questionable foreclosure documents with courts and county clerks. They are using tactics that late last year triggered an outcry, multiple investigations and temporary moratoriums on foreclosures. Reuters also identified at least six "robo-signers," individuals who in recent months have each signed thousands of mortgage assignments -- legal documents which pinpoint ownership of a property. These same individuals have been identified -- in depositions, court testimony or court rulings -- as previously having signed vast numbers of foreclosure documents that they never read or checked. Among them: Christina Carter, an employee of Ocwen Loan Servicing of West Palm Beach, Florida, a "sub-servicer" which handles routine mortgage tasks for banks. Her signature -- just two "C"s -- has appeared on thousands of mortgage assignments and other documents this year. In a case involving a foreclosure by HSBC Bank USA, a New York state court judge this month called Carter a "known robo-signer" and said he'd found multiple variations of her two-letter signature on documents, raising questions about whether others were using her name. That and other red flags prompted the judge to take the extraordinary step of threatening to sanction HSBC's chief executive officer. In a phone interview, Carter acknowledged signing large numbers of mortgage assignments this year, but said they all were legally done. To her knowledge, she added, no one else used her name. One of the industry's top representatives admits that the federal settlements haven't put a stop to questionable practices. Some loan servicers "continue to cut corners," said David Stevens, president of the Mortgage Bankers Association. Nearly all borrowers facing foreclosure are delinquent, he said, but "the real question is whether the servicer complied with all legal requirements." The loss of a home is "the most critical time in a family's life," and if foreclosure paperwork is faulty homeowners should contest it. "Families should be using every opportunity they can to protect their rights." Federal bank regulators signed settlements in March with 14 loan servicers -- banks and other companies that perform tasks for mortgage investors such as collecting payments from homeowners and when necessary, filing to foreclose. The 14 firms promised further internal investigations, remediation for some who were harmed and a halt to the filing of false documents. All such behavior had stopped by the end of 2010, they said. Of these companies, Reuters has found at least five that in recent months have filed foreclosure documents of questionable validity: OneWest, Bank of America (BAC.N), HSBC Bank USA, Wells Fargo (WFC.N) and GMAC Mortgage. So have half a dozen large servicers that weren't party to the agreements, including Ocwen Financial Corp (OCN.N) and units of Credit Suisse Group AG (CSGN.VX). Spokesmen for the banks and servicers named in this article said that they halted any wrongdoing after disclosures last autumn of robo-signing led them to revise their practices, and they denied filing false documents since then. In general, they said their foreclosure cases were legitimate, but for a small number of exceptions, and that criticism by defense lawyers and judges of some types of documentation is based on misinterpretation of the law. The persistence of the paperwork mess poses a dilemma for American policymakers and society at large. The vast majority of homeowners in foreclosure are in fact delinquent on their mortgage payments. Many bankers and judges view the issue as a technicality. Regardless of legal niceties, they say, people should pay up or lose the collateral on the loans -- their houses and condos. Increasingly, though, courts are holding that the trusts suing to foreclose don't actually own the mortgages. Judges have ruled that foreclosing based on flawed or missing evidence violates longstanding laws meant to protect all Americans' property rights. In a landmark decision in January, the Massachusetts Supreme Judicial Court overturned a foreclosure because of a lack of proper documentation. "The holder of an assigned mortgage needs to take care to ensure that his legal paperwork is in order," wrote Justice Robert Cordry in a concurring opinion. "Although there was no apparent actual unfairness here to the (homeowners), that is not the point. 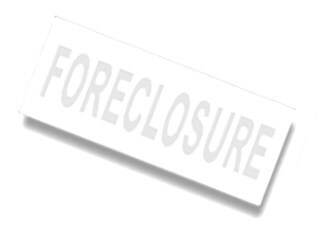 Foreclosure is a powerful act with significant consequences, and Massachusetts law has always required that it proceed strictly in accord with the statutes that govern it." Reuters reviewed records of individual county clerk offices in five states -- Florida, Massachusetts, New York, and North and South Carolina -- with searchable online databases. Reuters also examined hundreds of documents from court case files, some obtained online and others provided by attorneys. The searches found more than 1,000 mortgage assignments that for multiple reasons appear questionable: promissory notes missing required endorsements or bearing faulty ones; and "complaints" (the legal documents that launch foreclosure suits) that appear to contain multiple incorrect facts. These are practices that the 14 banks and other loan servicers said had occurred only on a small scale and were halted more than six months ago. The settlements included the four largest banks in the United States -- Bank of America Corp, Wells Fargo, JP Morgan Chase & Co (JPM.N), and Citigroup Inc (C.N). The other parties were lending units of Ally Financial Inc (GKM.N), HSBC Holdings PLC (HSBA.L), MetLife Inc (MET.N), PNC Financial Services Group Inc (PNC.N), SunTrust Banks Inc (STI.N), U.S. Bancorp, Aurora Bank, EverBank (Ever.N), OneWest Bank and Sovereign Bank. The pacts were struck with the Office of the Comptroller of the Currency, the main regulator of national banks, as well as with the Federal Reserve, the Federal Deposit Insurance Corp. and the Office of Thrift Supervision. Some state and federal officials have called the settlements weak. Authorities are still working out financial penalties to be imposed on the 14 firms. The banks didn't admit or deny wrongdoing, and many of the practices banned were previously illegal anyway, such as filing false affidavits and making false notarizations. And regulators left it to the banks to oversee their own internal investigations. The OCC confirmed it has received complaints that questionable practices continue. But spokesman Bryan Hubbard said the settlements "are intended to address many of the root causes of improper foreclosure actions," thus preventing future harm. The collapse of the housing boom in late 2006 led to a wave of foreclosures. Federal Reserve data show that some 4.5 percent of U.S. mortgages are in foreclosure. In 2010, 2.5 million foreclosures were initiated, with a similar number expected this year. In the housing boom, lenders created millions of new mortgages, packaged them into pools, and securitized them rapidly for sale to investors in so-called mortgage-securities trusts. The agreements setting up the trusts, called "pooling and servicing agreements," require that key documents, properly executed and endorsed, be turned over immediately for each mortgage when a trust is established. The two most important ones are a promissory note and mortgage assignment. A mortgage really has two parts. One is the actual mortgage (in some states called a "deed of trust"). Its purpose is to pledge the home as collateral for the loan. To transfer ownership of this collateral pledge, the seller must issue a document called a mortgage assignment. The other is the promissory note, which is the loan agreement itself. The homeowner signs it, promising to pay principal and interest. The Reuters examination turned up thousands of instances --more than 2,000 in Florida alone -- involving recently filed mortgage assignments which ostensibly transferred mortgages to these trusts years after they were formed. The problem, according to Georgetown University law professor Adam Levitin, an expert on securitization: About 80 percent of all trust agreements provide that New York State law applies, and under New York law, any mortgage assignments made later than specified in the agreements would be void. Reuters has also uncovered problems with the other key document used in foreclosure cases, the promissory note. To foreclose, a trust, bank or mortgage finance giant such as Fannie Mae or Freddie Mac must possess the original "blue ink" signed promissory note. The crucial parts of the note are at the bottom -- the endorsements, somewhat like those on the back of a check. The agreements establishing trusts require a proper chain of endorsements showing legal transfers of a note from the original lender, through any intermediary owners, and finally to the trust itself. Attorneys defending homeowners contend that improper endorsements are rife. Reuters obtained from public court records and defense attorneys more than 100 examples of notes that for various reasons appear to be improper. One example: The attempt by Credit Suisse unit DLJ Mortgage Capital to foreclose on Mary Arthur of Dobbs Ferry, New York. Mrs. Arthur, 63 and legally blind, works part time as an assistant in a doctor's office. Originally from Trinidad, Mrs. Arthur became delinquent on her $427,500 loan after her parents and sister died and she ran up debts travelling home for the funerals, according to her attorney, Linda Tirelli. The loan servicers, Select Portfolio Servicing of Salt Lake City, threatened to foreclose on DLJ's behalf. Mrs. Arthur arranged with Select Portfolio a trial mortgage modification to see if she could keep up with the reduced payments. She made the payments but, Tirelli said, Select Portfolio filed to foreclose. DLJ filed in two separate court cases what it said were authentic copies of Mrs. Arthur's promissory note. Because they were supposed to be copies of the same document, the endorsements filed with both courts should be identical. But a look at the documents shows that the version filed in state court and the one filed in bankruptcy court had completely different endorsements on them -- naming different owner banks and signed by different people. Tirelli said she has brought this to the attention of the bankruptcy judge and is awaiting a ruling. Credit Suisse, which owns both DLJ Mortgage Capital and Select Portfolio Servicing, declined to comment, as did Casey Howard, the lawyer representing DLJ in the bankruptcy case. Bank of America, meanwhile, is coming under fire from a New York federal bankruptcy judge. Last Tuesday, Judge Robert Drain ordered an investigation involving a foreclosure case brought by the bank. Two earlier copies of a promissory note filed in court had lacked any endorsement, but then one appeared on the note when bank lawyers produced the original. The judge said the sudden appearance of an endorsement, and his own close look at it, raised questions about whether it had been added illegally to make the note look legitimate. It "raises a sufficiently serious issue as to when and more importantly by whom this note was endorsed," the judge said. A Bank of America spokesman said the bank will produce evidence that "will demonstrate to the court's satisfaction that the endorsement is proper." These banks aren't alone in filing doubtful documents. Reuters found cases in which Wells Fargo didn't obtain mortgage assignments -- and hence the right to foreclose -- until well after it had filed foreclosure cases. Wells Fargo, as a trustee, has moved to foreclose on homeowners who have mortgages from now-defunct Option One Mortgage Corp. In June, a bankruptcy appellate panel of the federal Ninth Circuit Court of Appeals overturned a decision to allow Wells Fargo to foreclose on an Option One mortgage. It said that there was no evidence that the note and mortgage had ever been turned over to Wells Fargo as trustee. In court files of Florida foreclosure cases by Wells Fargo on Option One mortgages, none of the promissory notes filed as exhibits in 10 cases found by Reuters had any endorsements on them. A Wells Fargo spokeswoman said it is possible that proper endorsements exist but were omitted from the copies of the promissory notes filed in court. In other cases reviewed by Reuters, Wells Fargo and GMAC Mortgage (GMAC.UL), a unit of Ally Financial, this year assigned mortgages from defunct lender New Century Mortgage Corp., which went under in 2007. Securitization lawyers say it is technically impossible for a defunct company to directly assign a mortgage over to another owner. Documents and statements made to courts that are found to be false can amount to crimes under state and federal laws. Daniel Richman, a Columbia University law professor and former federal prosecutor, said such acts can be perjury, and preparing fraudulent documents can be prosecuted under federal mail and wire fraud statutes. The Sarbanes-Oxley Act makes it a crime punishable by up to 20 years in jail to file false documents in a bankruptcy case, including foreclosures. Reuters also found that loan servicers are still using the corner-cutting tactic that most captured the public imagination last year: robo-signing. The investigation identified six known robo-signers who have continued to churn out large numbers of mortgage assignments since the beginning of 2011 - months after the industry vowed to stop the practice. Among them is Bryan Bly, an employee of Nationwide Title Clearing of Palm Harbor, Florida. In his deposition, Bly said Nationwide multiplied his output by electronically stamping his signature on additional mortgage assignments that Bly said he never saw. He testified, too, that all the documents then were falsely notarized. Nationwide's notaries were given stacks of the already-signed documents, he said, and attested falsely that Bly had signed the legal papers in front of them. Bly said he didn't verify the information in the papers he signed, and that he didn't understand key words and expressions in them. Despite these disclosures, a Reuters search of county clerk records in Florida, New York and Massachusetts shows that Bly continued to sign thousands of mortgage assignments this year. A Nationwide spokeswoman said there is nothing illegal about signing large numbers of mortgage assignments. After Reuters inquired about Bly, however, she later said that because of recent questions raised about him by Nationwide customers, Bly has been moved to a job at the firm that doesn't involve signing documents. R. Christopher Rodems, a lawyer for Bly, said there is nothing improper about signing large numbers of mortgage assignments. Rodems said Bly had received death threats after a videotaped deposition Bly gave in November 2010 was posted briefly on YouTube, in which he testified about signing massive numbers of mortgage assignments. Robo-signing isn't limited to low-level employees at loan servicers. Buckley said he had never seen the document, and that another lawyer at his firm had filed it using Buckley's electronic signature. The signature appears on the document as "/s/ Lawrence J. Buckley." Buckley said that other lawyers at his firm were permitted to use his signature to file documents electronically with bankruptcy courts. He testified that it was standard practice at the firm not to review any of the original documents the claim was supposed to be based on, such as the original promissory note and mortgage. Luke Madole, a lawyer for Buckley, said he saw nothing wrong with Buckley letting lawyers he directly managed use his electronic signature. Later, in an e-mailed statement, Madole added that what occurred "is nothing like 'robo-signing"' and to use "that loaded term would be unfair in the extreme." Robo-signer Christina Carter resurfaced in a ruling earlier this month, when Arthur Schack, a New York State court judge in Brooklyn, threw out an attempt by HSBC to foreclose on a Brooklyn house. Schack said he had instructed HSBC's chief lawyer in the case, Frank Cassara, to confirm key facts directly with HSBC officials. The judge said Cassara subsequently "affirmed 'under the penalties of perjury"' that he had done so. But the judge said it turned out that Cassara had never checked with anyone at HSBC, and that the employees Cassara had said he spoke with at HSBC actually worked for a loan servicer. The judge also said signatures on documents in the case were filed by known robo-signers, three of whom he identified by name, including Carter of Ocwen Loan Servicing. He personally had examined multiple examples of their signatures, the judge said, and found wide variations, raising the possibility that other people had been signing their names. Judge Schack then took an unusual step: He formally threatened HSBC's CEO, Irene Dorner, as well as lawyers for the firm, with sanctions for relying on known robo-signers, filing false documents and making false representations to the court. The possible sanctions could range from an oral reprimand to financial and other penalties. HSBC spokesman Neil Brazil said that the servicer, Ocwen, was responsible for what occurred in the case, and that HSBC had had no role in it. Paul Koches, Ocwen's general counsel, said in an e-mail: "To our knowledge, there was nothing submitted by our legal counsel to the court that was in any way misleading as to who is the owner of this mortgage and note, nor was there any conduct of any kind that would justify sanctions." Carter says she did nothing improper, and left Ocwen voluntarily in May for another job. The bank now trying to foreclose on Marjorie Gunter has produced a troubled paper trail. OneWest submitted a document signed this February to prove that the original lender for her mortgage, a company called MortgageIT, had signed over ownership to OneWest. But MortgageIT, owned by Deutsche Bank, wasn't in business in February. It had ceased operations three years earlier, in 2008. Even if the February document were authentic, it wasn't recorded until nearly 10 months after OneWest had launched its foreclosure action, which began in May 2010. Real estate law throughout the United States requires that before moving to foreclose, a trust or bank must already own the mortgage and related promissory note. Otherwise, courts have ruled, a forecloser has no right to seize a house. OneWest also filed two separate copies of what it said was the 87-year-old homeowner's original promissory note. The first had an endorsement only from MortgageIT to now-defunct IndyMac Bank. Weeks later, OneWest filed a second copy of the note, with the addition of a "blank" endorsement -- an endorsement by IndyMac, but with the name of the payee left empty. OneWest has filed no evidence in the case that the note was subsequently transferred to Fannie Mae. OneWest declined to explain the multiple apparent discrepancies in the Gunter foreclosure documents. A spokesman said in an e-mail: "OneWest is dedicated to ensuring that it meets the needs of its customers, acts in accordance with applicable laws, and complies with its contractual mortgage servicing duties to the highest standards." A Fannie Mae spokeswoman said Fannie does own the Gunter note, but declined to explain how the mortgage finance giant obtained it, "due to it being in active litigation." The judge in the Gunter case hasn't ruled yet on OneWest's documents. (20th Judicial Circuit Court in Collier County, FL, Case number 10-2982-CA). Mrs. Gunter lives in Immokalee, a scrubby town 34 miles inland from Fort Myers on Florida's Gulf coast. About 40 per cent of the townspeople live below the poverty line, census data show. She shares her home with her three dogs; her one surviving son lives in a nursing home. In an interview at her house, on a dusty road off the main highway, Mrs. Gunter said she doesn't understand why the bank is foreclosing. OneWest says that Mrs. Gunter now is delinquent by more than $160,000. Her lawyer, Joseph Klein of the Legal Aid Service of Collier County, argues there are extenuating circumstances. Copies of her mortgage application forms show that in December 2006, an agent for Deutsche Bank's MortgageIT unit signed up Mrs. Gunter for a $149,900 mortgage. The forms, listing her income, show that the agent knew that the monthly payments -- $1,151, including insurance -- were more than her monthly income of $800 from Social Security plus about $200 in food stamps. In an affidavit filed in court, Mrs. Gunter said she had asked the salesman for a "reverse mortgage," which allows senior citizens to remain in their homes without making mortgage payments, with the value of the house going to the bank when they die. But the documents the salesman gave her to sign were for an ordinary 30-year mortgage. Losing her place would be a devastating blow, Mrs. Gunter said. "If they take the house," she said, "they'll take me, too."